A Javan rhino is captured on camera in Vietnam's Cat Tien National Park. The last Javan rhinoceros in Vietnam was found dead in the park in April 2010. WWF and the International Rhino Foundation (IRF) have confirmed the extinction of the Javan rhinoceros (Rhinoceros sondaicus annamiticus) in Vietnam. Genetic analysis of 22 dung samples collected by a Cat Tien National Park - WWF survey team from 2009 – 2010 affirm that the samples all belonged to a rhinoceros that was found dead in the park in April 2010, shortly after the survey was completed. The findings, presented in a new WWF report, also point to poaching as the likely cause of the death, as the rhino was found with a bullet in its leg and had its horn removed. The tragic discovery comes after a 2004 survey conducted by Queen’s University, Canada, that found at least two rhinos living in the park at the time. The rhinoceros was believed to be extinct from mainland Asia until 1988 when an individual was hunted from the Cat Tien area, leading to the discovery of a small population. 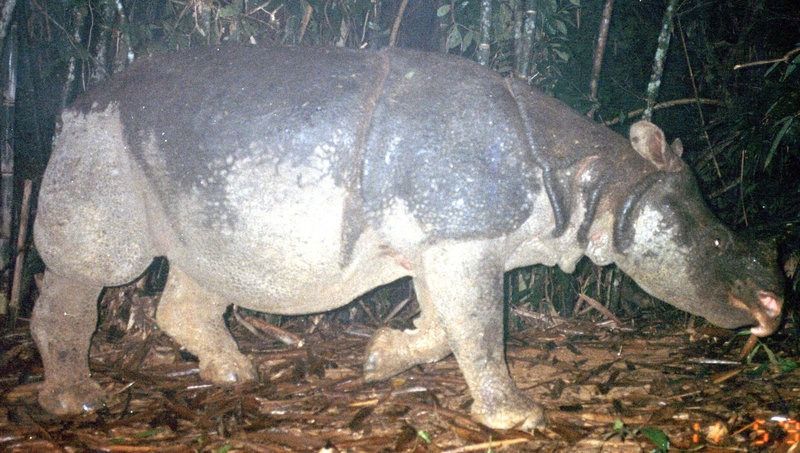 From the mid-1990s, a number of organizations were involved in efforts to conserve the remaining Javan rhino population in Cat Tien National Park, but the report highlights that ineffective protection by the park was ultimately the cause of the extinction. This is a common problem in most protected areas in Vietnam that threatens the survival of many other species, says WWF. Illegal hunting to supply the wildlife trade has reduced many species in Vietnam to small and isolated populations. The tiger, Asian elephant and endemic species like the saola, Tonkin snub-nosed monkey and Siamese crocodile are on the verge of extinction in the country. 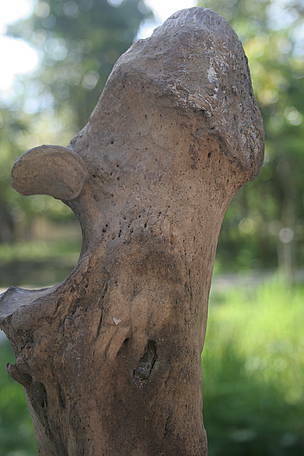 WWF recognises that habitat loss played a key role in sealing the fate of the rhino in Vietnam and warns that inadequate law enforcement and ineffective management of protected areas, encroachment and infrastructure development occurring within and close to Vietnam’s protected areas will only exert additional pressures on already fragile populations of species. “Reintroduction of the rhinoceros to Vietnam is not economically or practically feasible. It is gone from Vietnam forever,” said Christy Williams, WWF’s Asian Elephant and Rhino Programme Coordinator. The Javan rhinoceros is now believed to be confined to one population, less than 50 individuals, in a small national park in Indonesia. The species is critically endangered and with demand for rhino horn for the Asian traditional medicine trade increasing every year, protection and expansion of the Indonesian population is the highest priority. “This makes our work in Indonesia even more critical. We must ensure that what happened to the Javan rhinoceros in Vietnam is not repeated in Indonesia a few years down the line,” said Susie Ellis of the International Rhino Foundation. 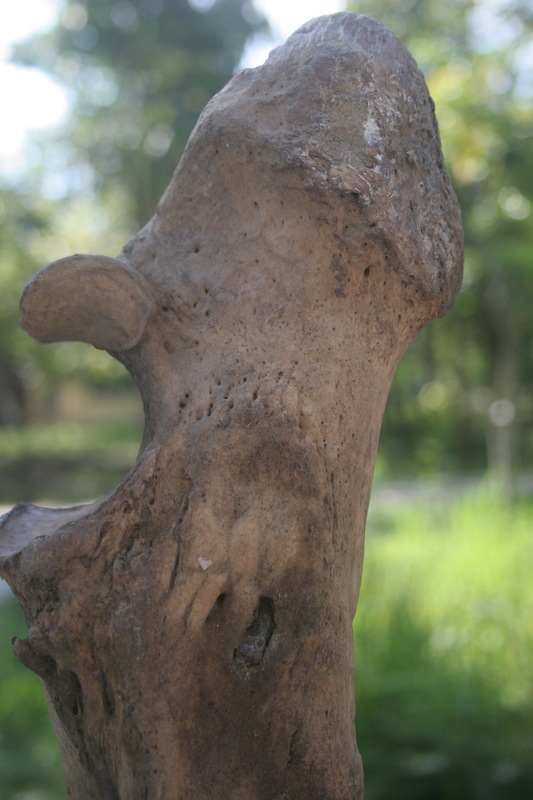 A bullet is lodged in the Javan rhino's let. Cat Tien National Park, Vietnam.